Music Hall manual turntable with dust cover, without cartridge. 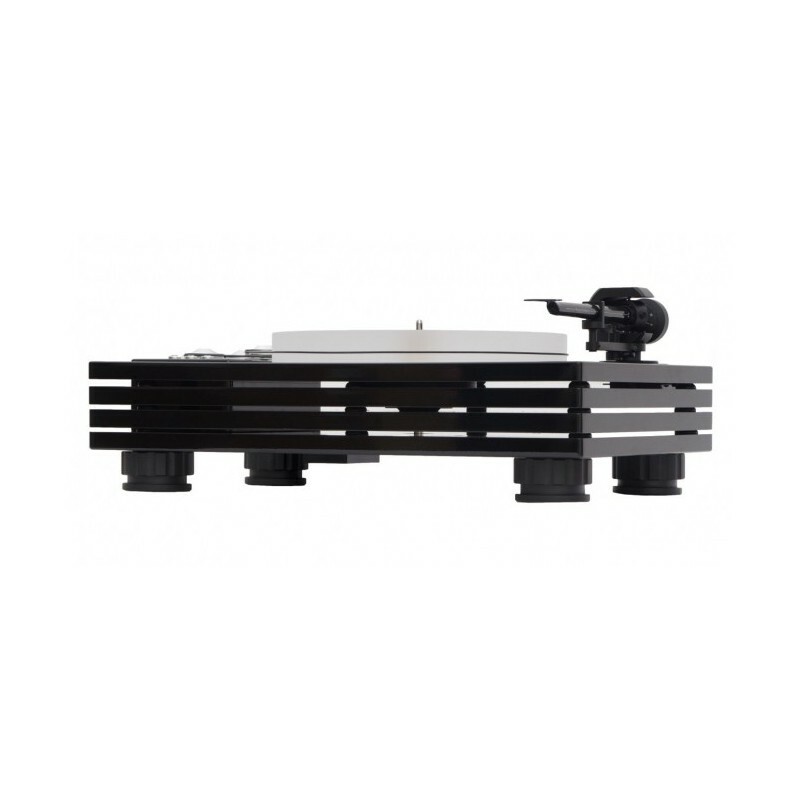 The Music Hall MMF 11.1 vinyl turntable is the American manufacturer’s high-end offering. It embodies all the expertise and technology of the brand so as to make the vinyl turntable highly effective and attractive in this range. It implements the 'multiple plinths' principle dear to the manufacturer. It uses an impressive 4-section chassis! Each layer comprises lacquered MDF isolated between each other by 6 TPE pins. We note that there is no link between the bases (other than the vibration isolation bushings) and that the various mechanical parts are perfectly isolated from each other. The upper plinth holds the tonearm and the one underneath holds the platter bearing. The third one... nothing and the fourth holds the motor unit that is also used at the base. 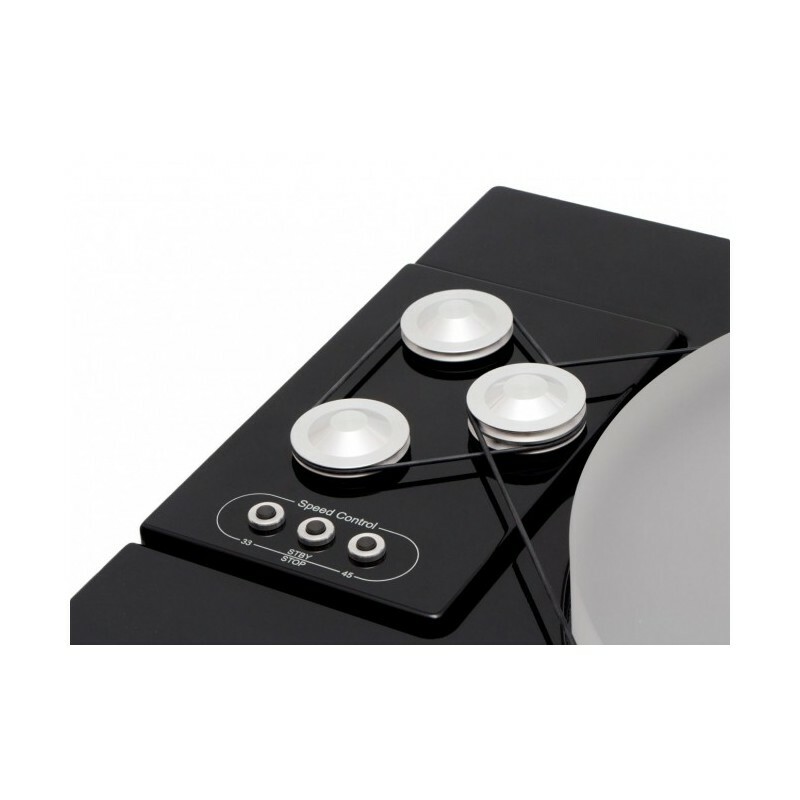 It rests on four very large adjustable aluminium feet. These feature repelling magnets. 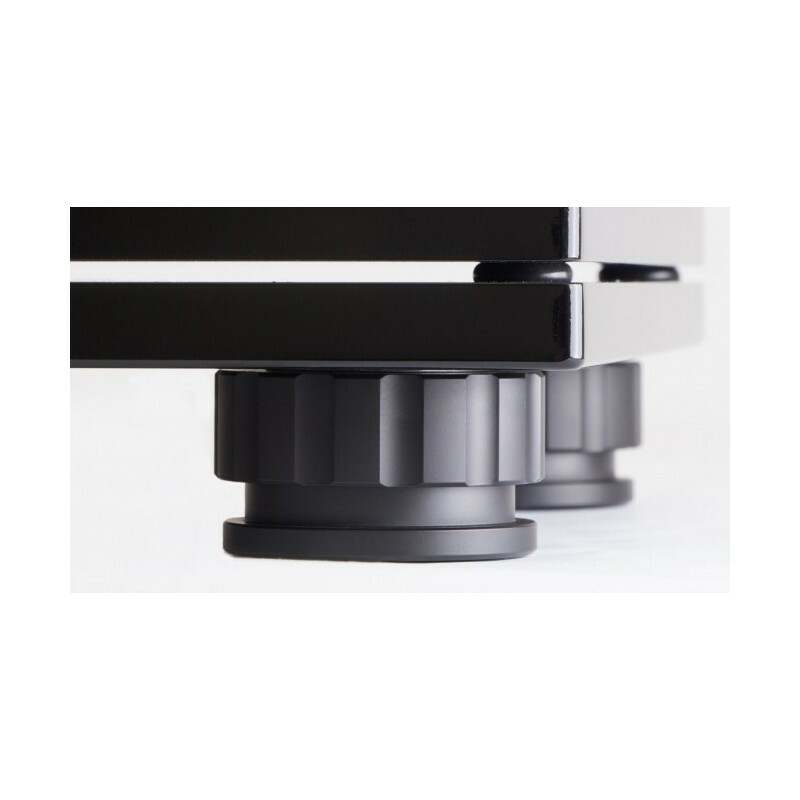 They give the appearance of suspension to the vinyl turntable, making it almost insensitive to the vibrations or resonances of the support. Moreover, they can be found at the EAT brand! All these solutions have one sole aim: prevent the vibrations of the motor or spindle from propagating in the tonearm and therefore the cartridge. The drive principle is relatively sophisticated. It calls on two synchronous motors that use a belt to drive a flywheel that itself drives the platter (via another belt). The assembly is controlled and managed by a microprocessor to ensure a constant speed and very low drift. It must also be noted that the electronic part allows for the speed to be changed (33 rpm and 45 rpm). The assembly is enclosed in a rigid inert block and fully separate from the first three upper plinths of the turntable. 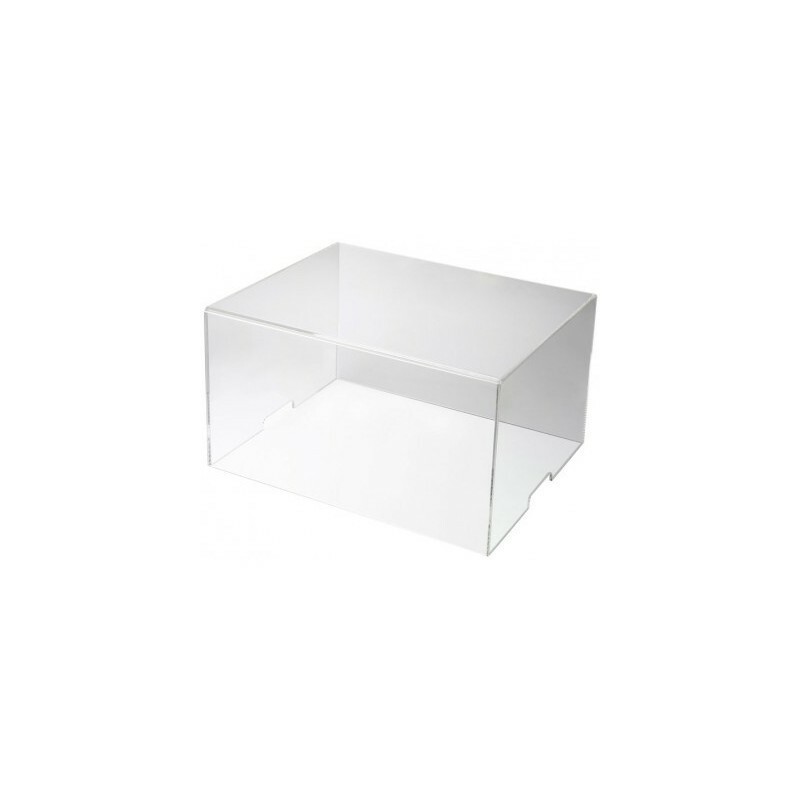 The acrylic platter is very thick and dense (more than 3 kg). It is integral with the bearing housing as the Music Hall MMF-11.1 vinyl turntable features an inverted bearing. The 9 inch tonearm is the latest version of the Austrian manufacturer's Pro-ject, to be specific. Moreover, it is the highest quality 'EVO' Full carbon version in terms of the tube and bearings offered by Pro-Ject. Its associated weight and rigidity, combined with its great assembly precision give it excellent tracking. It can be combined easily with the MM cartridges and MC cartridges with average and high compliance. The phono cable is detachable, which allows it to be replaced with a better model. It comes as standard with a translucent dust cover, which is rare, even non-existent in this range! The assembly is excellently built and has a total weight of 18 kg! Although this Music Hall vinyl turntable features known components that can be found among others with an Austrian competitor, its overall design makes it an original, high-performing turntable! 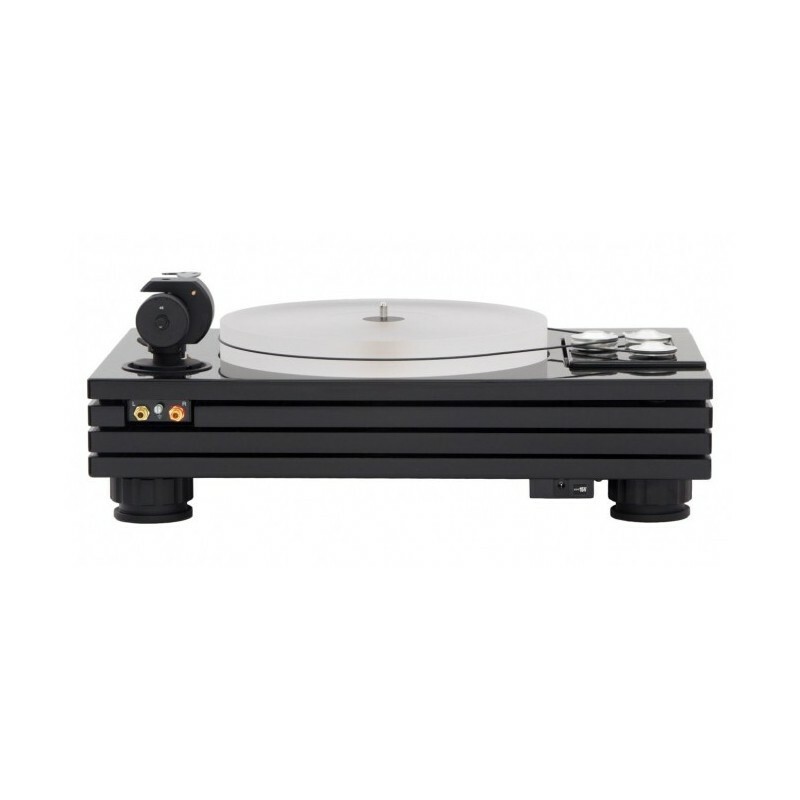 This Music-Hall 11.1 vinyl turntable is relatively easy to use! Especially that we are providing it for you perfectly assembled and adjusted! On receipt, you only have to fit the platter, belts and small anti-skating weight. 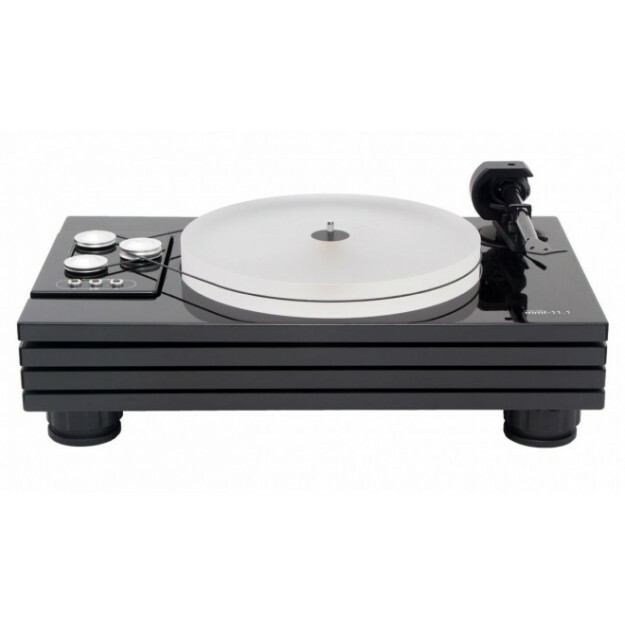 It is strongly recommended, like all the rigid turntables, to ensure that it is perfectly aligned. A small spirit level integrated with the turntable simplifies the task. From the first measures, it is obvious that we are in the presence of a machine that privileges neutrality to extravagance! Everything 'rings' true and very realistic. We cannot find the brilliance or a certain hardness in the high mids of some competitor vinyl turntables. Quite the opposite, here, everything seems more 'gentle' and 'composed'. Its highly balanced and very pleasant sound quality lets you listen for hours without any auditory fatigue. We have obtained excellent results with the Ortofon MC Quintet Black and Cadenza Blue cartridges but also with the Transfigution Axia. With the MM cartridge we used a 2M Black and a NAGAOKA MP 500 cartridge. With these vinyl stylus tips, the playback remained detailed and specific but without highlighting a register or projecting the high mid/treble. The sound stage is wide and deep with a very pleasant holographic image. The tonal balance is fully convincing, it works wonders on the acoustic instruments and particularly for Jazz, folk and classical... But do not believe that for all that it will not work brilliantly with rock or electro! Quite the opposite! But it will be less demonstrative, which I personally find appealing. The Music Hall MMF 11.1 vinyl turntable proposes many technical advantages and a very high-end sound quality! 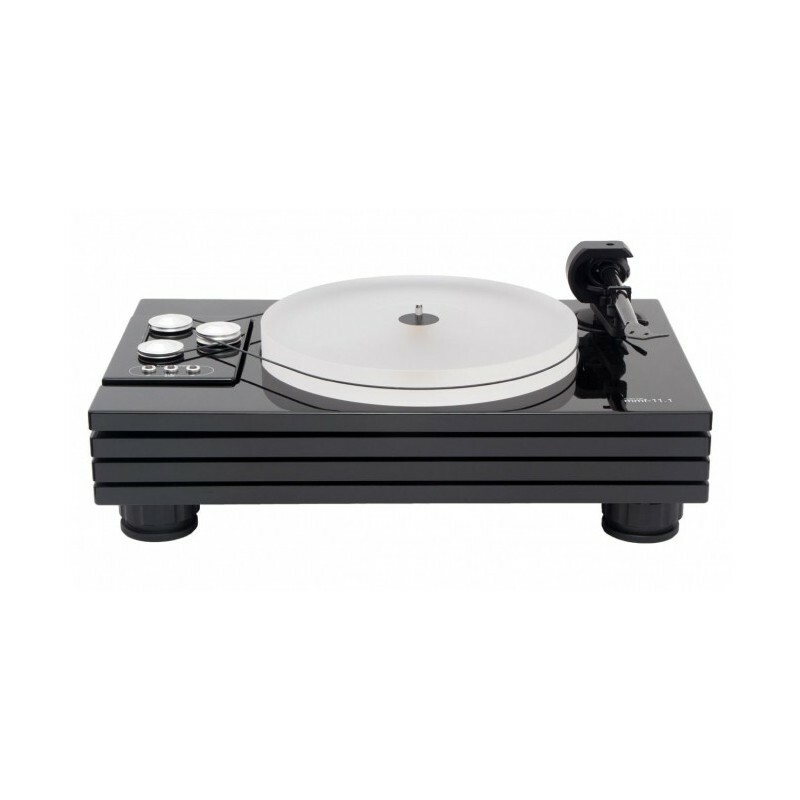 It is uncontestably the best turntable designed by John Hall… and certainly one of the best choices in its range! It is destined to audiophiles and analogue lovers.